Lindsey and Maxwell's destination wedding had everything a great beach celebration requires: sand, sea, and a cotton candy sunset. 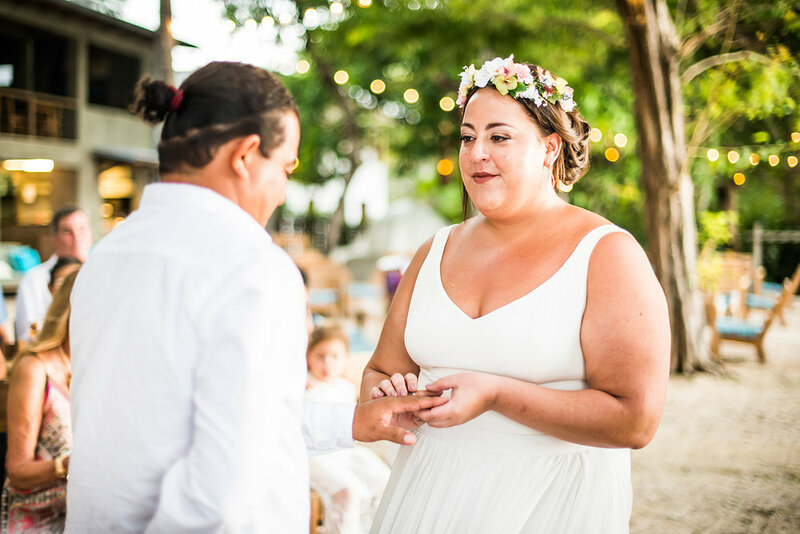 Their Costa Rican venue, Pangas Beach Club Tamarindo, was nestled among the palm trees right on the beach. Lindsey chose our Plié Bodice and Stratosphere Skirt. We love that she topped it with a floral crown and finished her bridal look with bare feet. Congratulations you two!